Uttaranchal is known as ‘Dev Bhoomi’ (Land of Gods), at about every hill top there is a temple. ; which depicts story of a Dev/Devi or a divine soul. Every stone tells a story. This is first preference of every devout hindu to visit Dev Bhoomi and bow his head once in the beautiful Dev Bhoomi. After leaving the doors of Devbhoomi, Haridwar, the beauty of the nature is visible all over. One can see it in the simple nature of the people, beautiful valleys, fountains, rivers, mountains, flowers. Open eyes and you will see a beauty. We have tried to gather some information from different sources; on different temples and religious places across uttaranchal. Adi Badri (Chamoli District) : Maha Rishi Ved Viyas wrote shri Mad Bhagwat Maha Puran at this spot. Adi Badri is also considered as emerging spot of Saraswati River. It is believed that Lord Vishnu used to to live here in Satyug, Treta and Dwapar. In Kalyug he shifted to Badrinath. That is why it is known Ancient badri. Anusuya Devi (Chamoli District) : At an altitude of 2000 mts. is the temple of Anusuya Devi or the Anusya Ashram. Devi Anusuya is revered as the Goddess who blesses with children. This is said to be the only place where devotees cricumambulate around the river as a mark of reverence. Badrinath (Chamoli District) : There is a myth that when the Holy Ganga was requested to come over to earth help anguish humanity, the earth was unable to bear the strength of it crash. Therefore the great Ganga was dived into twelve holy channels. Alaknanda was one of them which later become the seat of lord Vishnu or Badrinath. Baijnath (Bageshwar District) : which is said to have been built by the Kumaon Katyuri king in around 1150 A.D. and it was Capital of the Katyuri dynasty of kings who ruled Uttaranchal during 12th and 13th century, Baijnath was once known as Kartikyapura. Baleshwar (Champawat District) : Baleshwar Temple is ancient temple dedicated to Shiva, situated within city of Champawat in Uttarakhand. Built by the rulers of the Chand dynasty, Baleshwar Temple is a marvelous symbol of stone carving. There isn’t any historical manuscript that dates the Baleshwar temple, however it is believed to have been built between the 10th and 12th century AD. Bhadraj Temple (Dehradun District) : About 15 kms from Mussoorie, it is an ideal spot for trekking via Park Toll-Clods end, Dudhi. 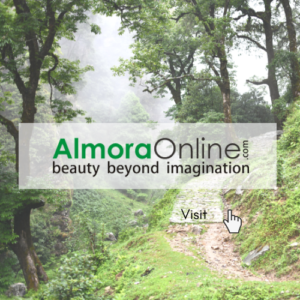 Situated on the extreme western region of Mussoorie town, Bhadraj offers a commanding view of the Doon Valley. 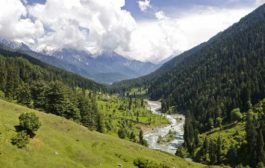 Chakrata ranges and Jaunsar Bawar areas can be viewed from here. Bhadraj Temple is dedicated to Lord Bal Bhadra, brother of Lord Krishna. Binsar Mahadev (Pauri Garhwal District) : For its Archealogical significance and its dense forest which is full of flora and fuana.It is beleived that desire of a child is fulfill here. It is Believed that this temple was built in a single day.Ladies comes here on Vaikunth chaturdashi and light a lamp on their palm to fulfill the desire of child. Buda Kedar (Uttarkashi District) : The Pandawas impressions are marked on this Shivling.This is the biggest Shivling in northern India. It is believed that Duryodhan offered Tarpan here.According to a epic, after the battle of kurukshetra pandawas wanted to pay homage to shiva. Bharat Temple (Dehradun District) : It is famous for old statues well ptreserved here.A shriyantra on a canopy placed by Adi Shankrachaya. According to a legend Bharat,brother of Lord Ram liable himself reparation here. Later the bharat temple was build. Bharat Mata Temple (Haridwar District) : It is a diffrerent temple which is dedicated to Bharat Mata and the Freedom fighter unlike the riligious diety. Bharat Mata and heroes who played a pivotal role in securing India independence and laying her foundations. Chandi Devi Temple (Haridwar District) : Chandi Devi Temple, Haridwar is a Hindu temple dedicated to Goddess Chandi Devi in the holy city of Haridwar in the Uttarakhand state of India. The temple is situated atop the Neel Parvat on the Eastern summit of the Sivalik Hills. Chandrabadni (Tehri Garhwal District) : It is beleived that devi fulfil the desire of people. It is said that when sati, the wife of siva, gave up her life in the yajna started by her father and siva was carrying her body to Kailash, her torso fell here. Chandrabani Temple (Dehradun District) : This place is famous for holy water callem Gautam kund. There is a Legend that spot was inhabited by Maharishi Gautam, his wife and daughter Anjani who are widely worshipped by the people. Chitai Temple (Almora District) : This temple is known for virtual law court.Diety came here to beg from worry. Goats are sacrificed here as offering in the temple. Daksha Mahadev Temple (Haridwar District) : This is the one of five Sacred place of Haridwar. There is a legend that king Daksha father of Godess Sati perfomed a Yangya here and did not invite Lord Shiva. Devi Dhura Temple (Champawat District) : Famous or its Bagwal fair in which two group of people throw stone at each other without care for injuries. Famous hunter Jim Corbet associate with this temple. In this temple the image of Godess kept in locked brass casket. Dhari Devi Temple (Rudraprayag District) : The upper part of Godess Kali is believed here and the remaining part is worship in Kalimath.As opinion of villagers the face of the idol changes as a girl,a women and an old lady as the progress of time.This idol is in open sky. Dhyan Badri Temple (Chamoli District) : People beleive that pandavas came here after give up his kingdom Hastinapur to king parikshit. The importance of the badri is immense and the sanctum has an image of the lord in a meditative posture. Dunagiri Temple (Almora District) : Dunagiri is a historic area in Almora district in the state of Uttarakhand in India. 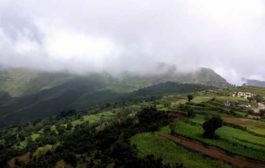 Approximately 400 km (250 mi) from Delhi, a cluster of six small villages forms the place that is variously known as Dunagiri, Drongiri and Doonagiri. Gangotri Temple (Uttarkashi District) : According to an epic there is a shivling where Lord Shiva sat and recieved the Godess Ganga i his matted locks. King Bhagirath worship here on a rock.This rock is known as “Bhagirath Shilla” which is situated near the temple. Garjiya Devi Temple (Nainital District) : Garjiya Devi Temple is a noted Devi temple located in the Garjiya village near Ramnagar, Uttarakhand, India, on the outskirts of the Corbett National Park. It is a sacred Shakti shrine where Garjiya Devi is the presiding deity. 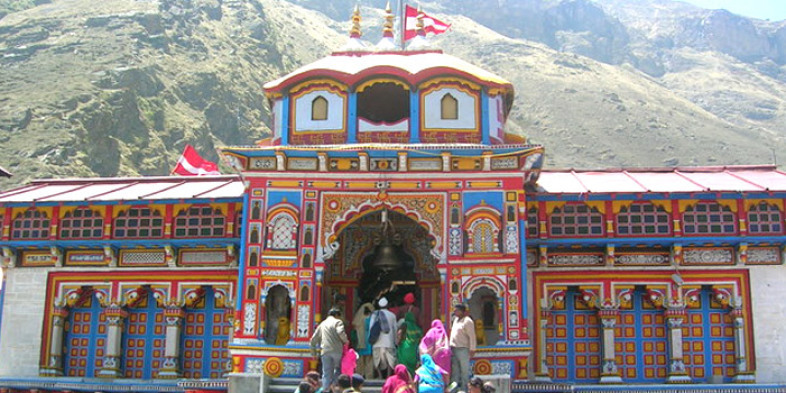 Gaura Devi Temple (Pauri District) : This temple is the unique example of garhwal architecture. There is a legend that Dewalgarh was a kingdom of garhwal and this land was blessed by Guara devi. Kuber was blessed this place to built the temple. Gopinath Temple (Chamoli District) : There is trident which is made up of eight different metals dating back to 12th century which bears the inscription of Anek Malla, King of Nepal who came to India in 13th century. Guptkashi Temple (Rudraprayag District) : It is beleived that river Yamuna and Ganga meets here so it is known as small Kashi. It is believed that Lord Shiva hide here to evade from Pandavas.So this place is called Gupt means hidden. Guru Gorakhnath Temple (Pauri District) : This temple is a cave which has a small door in which you can crawl only.This is famous for meditaion. This is the place where Guru Gorakhnath meditated met his disciple and took samadhi. Gwal Devta Temple (Champavat District) : There is a legend that Goril a Katyuri Prince of Champavat Known for its justice.He was victim of a consipracy by his step mother who locked him in cage and thrown into the water. Jageshwar Temple (Almora District) : Jageshwar temple is one of the twelve Jyotirlings in the country. There is a group of 124 temples at Jageshwar. Kainchi Temple (Nainital District) : Kainchi temple is of a special importance in each and every devotee’s life. It was here that Ram Dass and other westerners spent a lot of good time with Maharajji. Kaalimath Temple (Rudraprayag District) : Unique structure of the temple, People visit temple to have their wishes fullfilled. This is known as one of the sidh peeths. Kalpeshwar Temple (Chamoli District) : This place is famous for Kalpvriksh-tree which is known as a fulfilling tree. Sage Durvasa meditated under the Kalpvriksh tree. Kamleshwar Temple (Pauri District) : Women worship Lord Shiva for whole night holding lamp on their palms. It is a strong belief that on dooing so her desire for the baby is fulfilled. Kandolia Devta Temple (Pauri Garhwal District) : It is situated in a dense forest full of oak,Deodar and filled with natural beauty. It is believed that this temple relate to earth(bhumi) so this is called Bhumyal. Kanva Rishi Temple (Pauri Garhwal District) : It is the place where heavenly angle Menka left her daughter Shakuntla and she was brought up by Kanva rishi. Kartik Swami Temple (Rudraprayag District) : Famous for the trek route and for its natural beauty of Himalaya peaks. In this temple the bones of the kartik shown in the idol. Kasar Devi Temple (Almora District) : Kasar Devi is a village near Almora, Uttarakhand. It is known for the Kasar Devi temple, a Devi temple, dedicated to Kasar Devi, after whom the place is also named. Kedarnath (Rudraprayag District) : One of the 12 Jyotirlings. According to an epic the Pandavas wanted to pay homage to lord shiva after killing there brothers but lord was not interested to meet them as they were guilty of gotra hatya. Koteshwar Temple (Rudraprayag District) : It is famous for its natural beauty and self made idol. Sage comes here to meditation. It is believed that Lord Shiva meditated here before going to Kedarnath. It is constructed in a form of cave. Koteshwar Mahadev Temple (Rudraprayag District) : It is belived that if a childless couple chant Mahamrityunjay with full faith in the month of Shravan blessed with child. An old village woman while diging her farm found a Shivling with a divine voice directing to construct a temple dedicated to Lord Shiva. Kunjapuri Temple (Tehri District) : Kunjapuri is said to be one of the sidddhapeeths established in the region by Jagadguru Shankaracharya. Their is a legend it that the upper-half of the body of Sati, wife of Shiva, fell here when he was carrying it to Kailash. Laxman Sidhh Temple (Dehradun District) : This is one of the sidhh peeth and people comes here on sunday for prayer to fulfill their desire wish. There is legend that Laxman brother of Lord Rama came to penance here for killing Ravana. Maa Hariyali Devi Temple (Rudraprayag District) : Hariyali devi is also worshipped as Vaishno Devi. There is a legend when mahamaya deemed to the seventh baby of Devaki Kansa threw her on the floor but the hand of Mahamaya fell on this spot. Madmaheshwar Temple (Rudraprayag District) : Madmaheshwar is a Hindu temple dedicated to god Shiva, located in the Mansoona village of Garhwal Himalayas in Uttarakhand, India. Mahasu Devta Temple (Dehradun District) : This temple in Hanol has two extremely heavy mysterious balls which the locals believe are from Mahabharata time and belong to Bhim. Mansa Devi Temple (Haridwar District) : It is believed that Godess fulfill the desires of devotee. 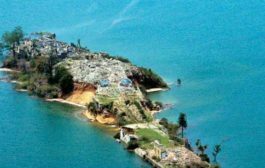 It is Believed that heart and naval fell here of when shiva when was carring the body of Sati.That is why it is known as Mansa meaning heart. Maya Devi Temple (Haridwar District) : It is one of the siddh peeth. Maya Devi Temple, Haridwar is a Hindu temple dedicated to goddess Maya in the holy city of Haridwar of Uttarakhand state in India. Nagdev Temple (Pauri District) : It is famous for its dense forest full of Pine and Rhododendron.One can see thrilling view of Himalaya. Nanda Devi Temple (Almora District) : Famous for its Nanda devi Rajjat which comes after every 12 year. It is very beatiful temple of which symolize the Chand Dynasty. Located in the town above the mall. Mata Purnagiri Devi Temple (Champawat District) : It is one of the Siddh Peeth.It is believed that Godess Sati fulfill the desire of Devotees. It is believed that Daksha Prajapati father of Sati organised a ceremony in which he did not invite Lord Shiva. and Bhagirathi Rivers at Dev Prayag. According to tradition all the pujas are conducted by Telgu speaking priests, descendants of centuries-old settlers. Rudranath Temple (Chamoli District) : There is a stream which is known as “vatarani water” which is used to offer ritual to their ancestors. Evidence of pandawas swords and rocks. Santala Devi Temple (Dehradun District) : Santala Devi temple is also called by other names, like Santaura Devi temple, Santaula Devi temple. This temple is one of most visited place in Dehradun. 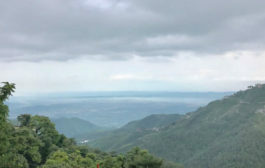 Santura Mata Mandir (Dehradun District) : Situated 12kms on the way to Kempty Falls,and then the trek of about 1 km, the mandir is known for its spirituality and holiness among the residents of Mussoorie. Tapkeshwar Temple (Dehradun District) : Cool sulphur springs around the temple make excellent bathing spots for pilgrims.A fair on shivratri attracts devotees to pay homage to Lord Shiva. Tarkeshwar Mahadev Temple (Pauri Garhwal District) : It is Famous for the headquarter of Garwal Rifle surrounded by thick forest. This is among one of the Siddh peeth. Vishwanath Temple (Uttarkashi District) : Because of Shiva trishul and there is a Godess Kali Temple in front of this temple. 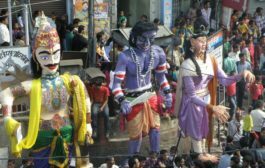 It is considered to have similar religious importance as Kashi vishwanath. Vridha Badri Temple (Chamoli District) : According to epic, The idol of Badarinath fixed by divine Vishwakarma was preserved and worshiped here. Yamunotri Temple (Uttarkashi District) : This place was home of Sage Asit. The river emerge from yamunotri glacier which is at hight of 4420m near the Kalind mountain. Haat kalika Mandir (Pithoragarh District) : Haat Kalika Mandir was chosen by Sankaracharya for installation of Mahakali Shaktipeeth. Katarmal Temple (Almora District) : This place was home of Sage Asit. The river emerge from yamunotri glacier which is at hight of 4420m near the Kalind mountain. Syahi Devi Mandir (Almora District) : Haat Kalika Mandir was chosen by Sankaracharya for installation of Mahakali Shaktipeeth.